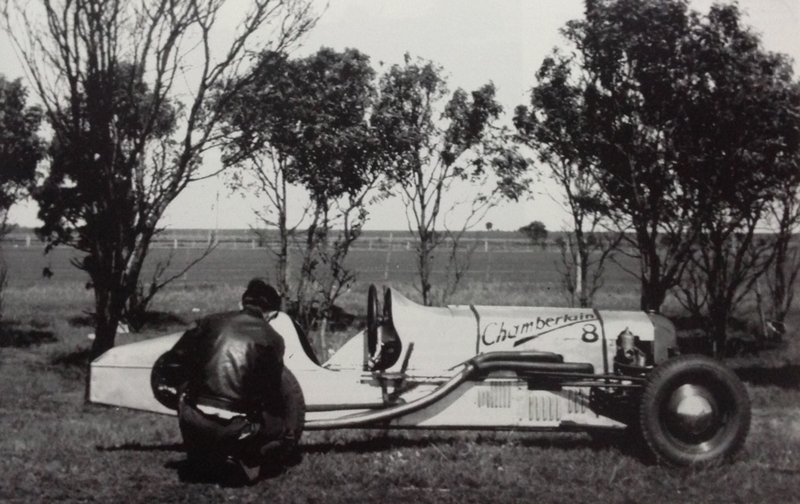 As you will see from this article, the Chamberlain 8 is a remarkable car built by equally amazing men, Bob Chamberlain and his brother Bill Chamberlain with later support of some of Australia’s most talented engineers. The first is a reproduction of an article about the car written by John Medley published in a marvellous magazine, Barry Lake’s ‘Car’s and Drivers’ way back in 1977. John is one of Australia’s best known Racing Historians having written for numerous publications in Australia and overseas for years. He is also a racer and author of two books; ‘Bathurst Cradle of Australian Motor Racing’ and ‘John Snow Classic Motor Racer’. In addition he contributed 3 chapters to Graham Howard’s seminal ‘History of The Australian Grand Prix’. A subsequent ‘Letter to The Editor’ of ‘Cars and Drivers’ by John Cummins, who worked on the car at Chamberlains’ post war is included as Part 1B to add more detail. A summary of the cars history post war is written by me (Mark Bisset) based on John Hazelden’s book ‘The Chamberlain: An Australian Story’, John owned the car after the Chamberlain brothers deaths, the book chronicles the ‘Beetles’ full history inclusive of every event in which it participated. This subsection is Part 1C of the article. 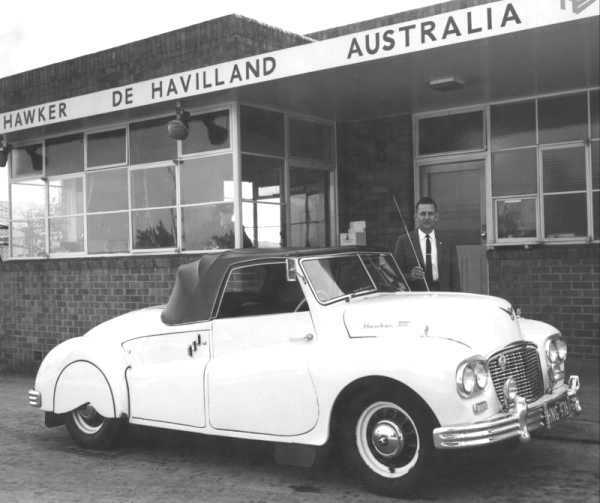 The second part draws from a book written about Bob Chamberlain, ‘Chamberlain Australian Innovator’ and his significant engineering and business achievements which were so much a part of the first century of automotive engineering in Australia. The book was was written by Bruce Lindsay. 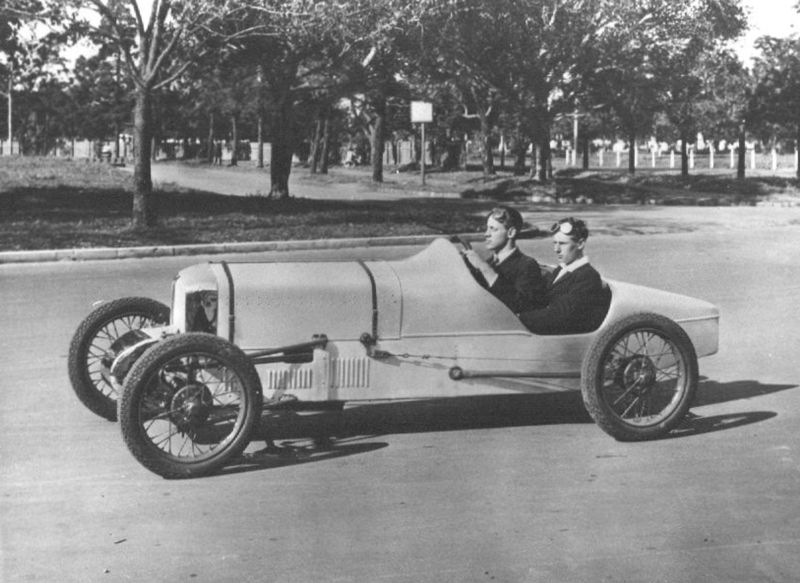 Australian motor sporting history has seen some quite remarkable instances of original thinking-the V6 1.5 litre Clisby engine, the Waggott four-cylinder engine, Eldred Norman’s Eclipse Zephyr Special, Jim Hawker’s Peugeot V8 engine, the Offenhauser copy based on Salmson engine, to name but a few. Perhaps the most remarkable of them all, however, was a car created almost 50 years ago in Melbourne. It was (and is) living proof that there is little new under the sun. The mind boggles at the time, patience effort, and skill that went into its construction. 1. A 4 cylinder stepped bore, 8 piston, vertically opposed, supercharged, 2-stroke engine with 2 crankshafts one of which runs through the skirt of the top pistons. 2. An engine which runs to 8000rpm. 3. Twin plugs per cylinder producing 64000 sparks per minute (from 8 coils) at 8000rpm. 4. Front wheel drive with inboard brakes. 5. Four wheel independent suspension. 6. A space frame chassis of small diameter tubes, much of it triangulated. 7. An 1100cc 85+ BHP motor. 8. Virtually the whole car built in Australia. Any one of these features would have been remarkable and distinctive in 1929 when the car itself was built, or in the early 1930’s when the present engine was inserted. In combination the assemblage of features makes for one of the most amazing cars the world has seen. That it was constructed by a small group of enthusiasts rather than a large and experienced factory makes it all the more remarkable. The car is the ear-splitting Chamberlain Special and its builders are Alan (Bob) and Howard (Bill) Chamberlain (with a little help from their friends). 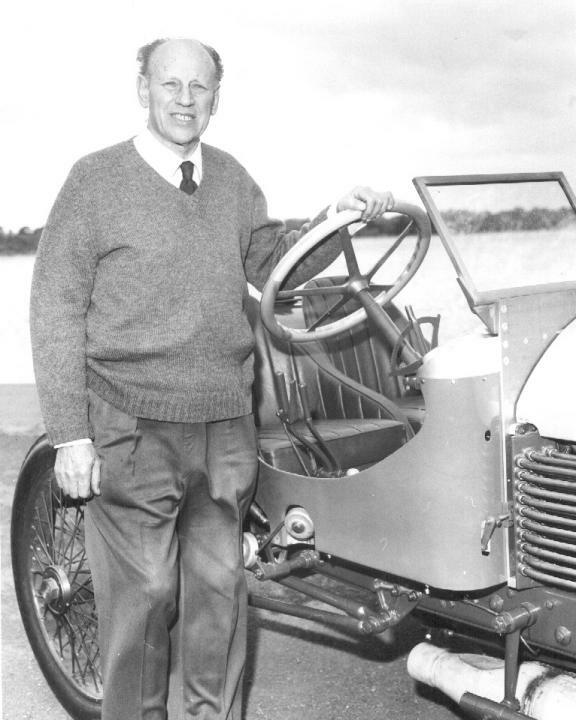 Bob built the original car while Bill built the 8-cylinder, 2-stroke engine. 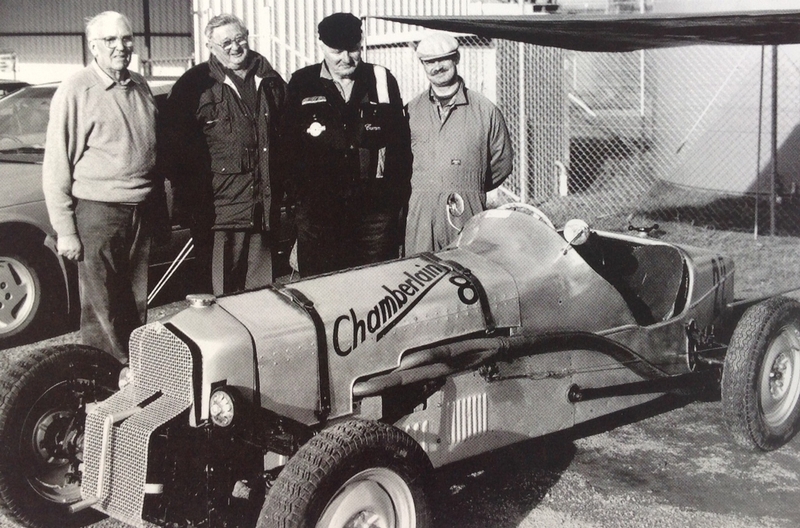 The Chamberlain last appeared when entered for the Historic racing events at Sandown in 1973. In the early 1950’s it had been put away in a corner of the Chamberlain workshop and more or less forgotten-except when a bit was needed for some project or other, when it was robbed of parts. When it was decided to run the car again in 1973 the Chamberlains found one of the coils, a collection of sprockets, a 2 inch Vacturi carburettor and a large number of racing spark plugs were missing. Replacements had to be found before the car could be enticed from its lair. It started at the second try after lying idle for about 20 years! The car ran well in private practice on the Thursday before Sandown (mainly practice for Bob Chamberlain who hadn’t raced for 40 years!) A water leak from a corroded engine cover plate was fixed and the car returned to Calder the following day. After an uneventful session Bob stopped and then promptly everything locked solid. At the time they thought it was the clutch but after some dismantling they realised that the problem was the engine bearings. Castrol ‘R’, the vegetable based racing oil which had been in the engine for 20 years had oxidised and gummed up the crankshaft bearings. Castrol supplied a solvent in an attempt to dissolve the mess although they weren’t very confident of its success and, in fact, it didn’t work. The job of dismantling the complicated engine was just too great in the time available so the car did not race at Sandown, although it was brought along as a static display-a bitter disappointment to its owners and to those who had come to experience the sight and sound of this remarkable car. 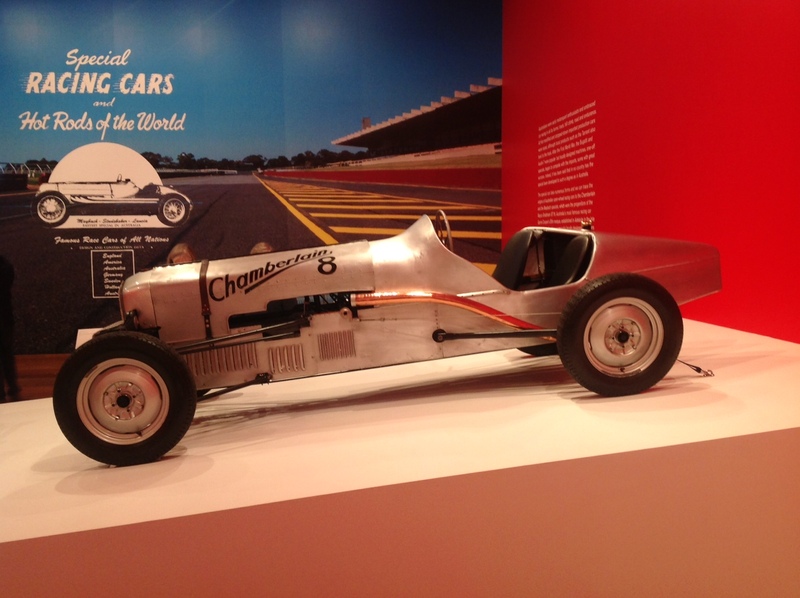 Bob Chamberlain built the car in 1929, all except the engine being virtually as it is today. The car’s first engine was a big-valve Daytone Indian motor cycle unit. In this form, the road registered car covered thousands of miles but trouble was experienced with the valve gear. A slightly smaller capacity four cam Altoona Indian motorcycle engine was installed, proving more reliable. 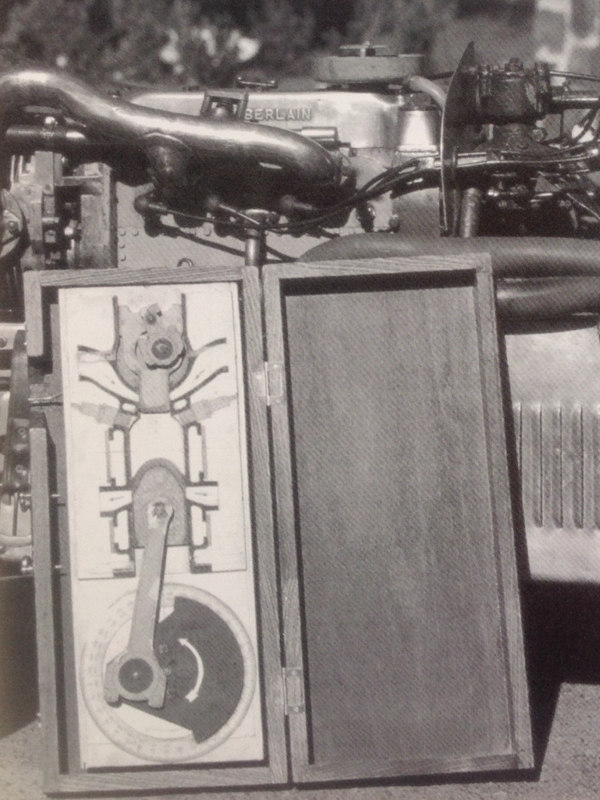 To increase the capacity and the performance, Norton barrels were fitted to the Indian crankcase. 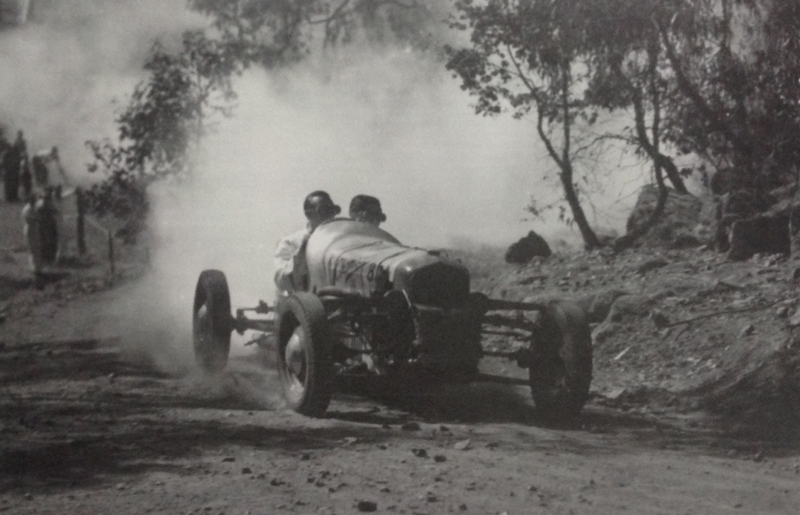 The car now became quite competitive, particularly in sprint events, easily holding the Wheelers Hill (in outer Eastern Melbourne) record for example. 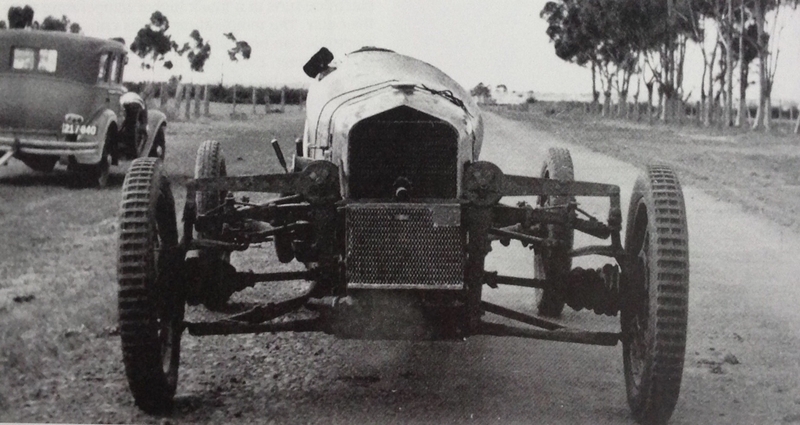 It ran in the numerous sprint events run by the Light Car Club of Australia, Junior Car Club and the Royal Automobile Club in Victoria during the period, as well as circuit races at Aspendale (inner Melbourne bayside suburb) and Safety Beach (holiday destination on Melbourne’s Port Phillip Bay). The innovative nature of the car was widely recognised at the time, in this case ‘The West Australian’ 30 October 1930. Entered 3 times for the AGP at Phillip Island, the car was not successful. At the first attempt a piston seized due to the alloy being unsatisfactory. By the following year the Chamberlains had made their own pistons from ‘Y’ alloy and the car completed practice without any troubles. In the race it only lasted 3 laps, when a crankpin broke. Bob had trouble recalling a third attempt at the Island but checked his records and found that the car was indeed entered and listed as supercharged, although he is sure the car did not actually race in this form. Bob says that the blower was fitted to the Indian motorcycle engine and the compression lowered in the hope of improving big-end bearing life. 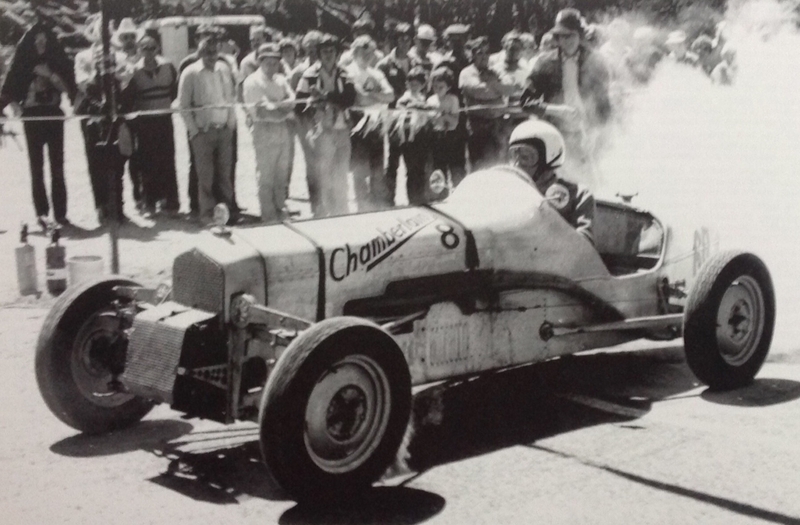 It didn’t work out that well but this 2 cylinder supercharged engine powered the car at several meetings at Mebourne’s Aspendale Speedway as well as a number of hillclimbs, with some success. Then, in 1934, in Bob Chamberlain’s first attempt at Mount Tarrengower, the car crashed not too far from the site of Peter Holinger’s 1977 accident. It has been said of Mount Tarrengower that if you make a mistake you have to fight for airspace with the pigeons. 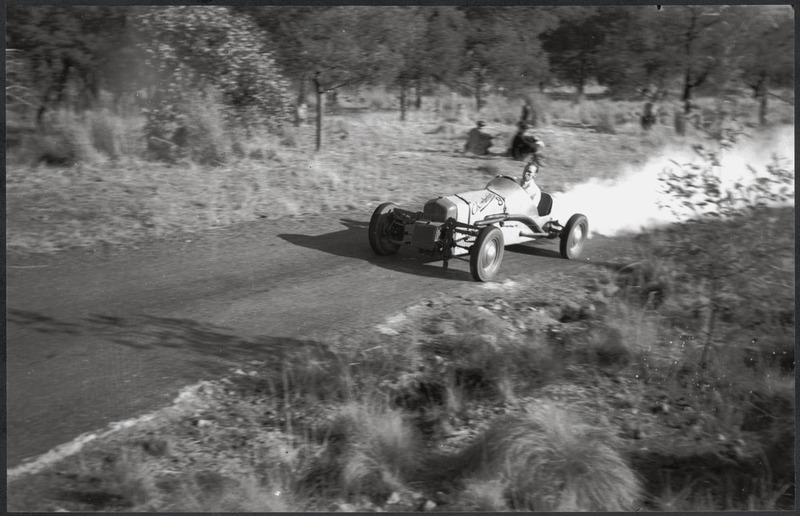 Bob Chamberlain was saved from that battle by a stout tree, which he scored at top speed just beyond the finishing line. 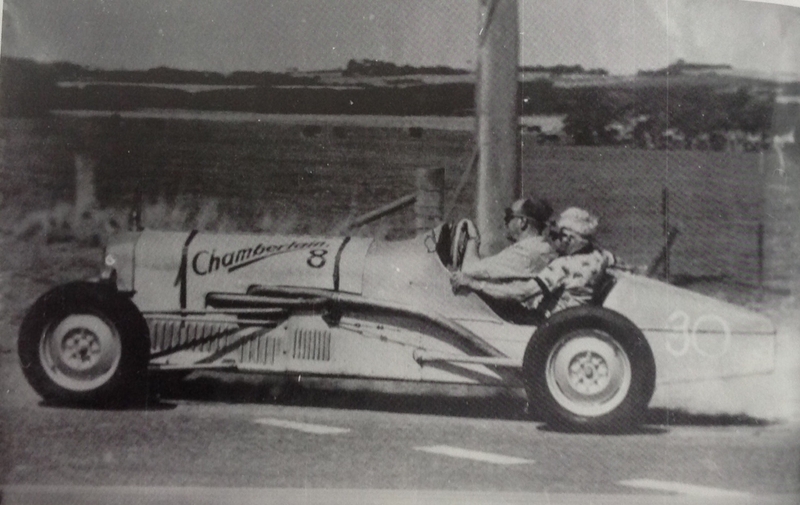 Shortly after this Bob Chamberlain went overseas, handing the car over to brother Bill, who built and fitted the engine which is in the car now. Even on the plugs specially made in the UK for the car, oiling up was a problem and the Chamberlain did not appear often in the late 1930’s. Significant advances in spark plug design in World War 2 and the deeper involvement of Jim Hawker gave the car a new lease of life in the early post-war years. Once again hillclimbs and sprints echoed to the high-pitched scream of the Chamberlain. The engine resembled a design by W Jamieson (not to confused with the famous Murray Jamieson who designed the twin-cam Austin 7 engine and later the ERA engine) which was publicised in the early 1930’s. To the Chamberlains to build one for fun ‘seemed like a good idea at the time’. 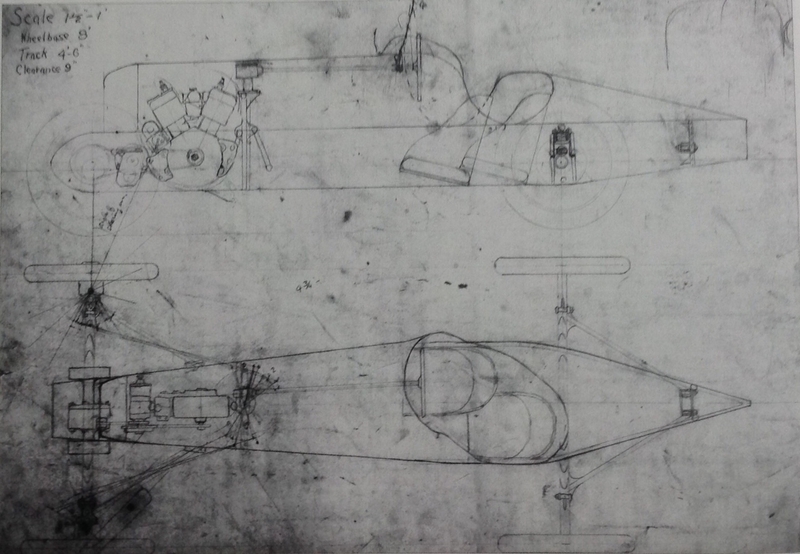 The layout, though similar to the Jamieson design, used stronger parts. A Henderson motorcycle crankcase casting, suitably machined, formed the basis. This, rather like the Morris Mini motor, uses unit construction so that crankshaft, clutch, flywheel and gearbox all live in the same oil. On top of this was the block, a very complex casting (which was to cause problems later on). A multi plate cork insert clutch was built and the bottom crankshaft was machined from a 6.5 inch solid steel billet. Fully counterbalanced, this crankshaft runs in three roller main bearings. The bottom pistons have a bore of 62.5mm and a stroke of 75mm, giving the lower pistons a swept volume of 968cc while the upper, opposing, pistons have a swept volume of 100cc giving a total of capacity of 1068cc. The top part of the bore is narrower, at 35mm, with intake ports at the top and exhaust ports at the bottom. The small piston which moves up and down to open and close the intake ports is of unusual shape, being bottle shaped. The ‘neck’ slides in the bore, exposing and closing the ports. 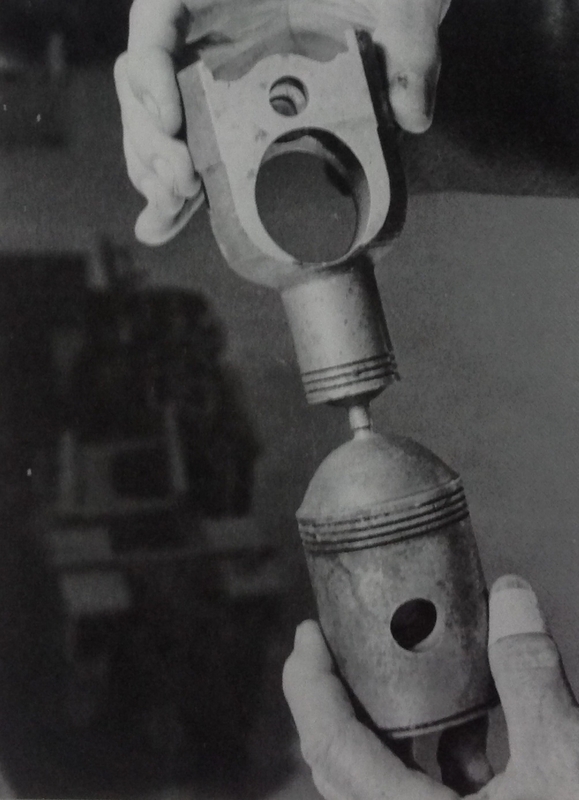 The ‘body’ of the bottle are two holes, one small hole for the gudgeon pin and one large hole through which the top crankshaft (linked to the gudgeon pin by a little 1.5 inches long conrod) passes. This top crankshaft spins in five main bearings and is linked to the bottom crankshaft by chain. The two pistons per cylinder design allows quite independent timing of the inlet and exhaust ports-thereby overcoming one of the inherent shortcomings of a normal one piston per cylinder two stroke design. The top crankshaft is actually timed 27.5 degrees behind the lower crankshaft. This allows the intake ports to remain open after the exhaust closes, to take advantage of the higher blower pressure-which then can actually pressurise the ingoing gases in the cylinder. The distinctive feature of the engine is the short inverted top connecting rod. 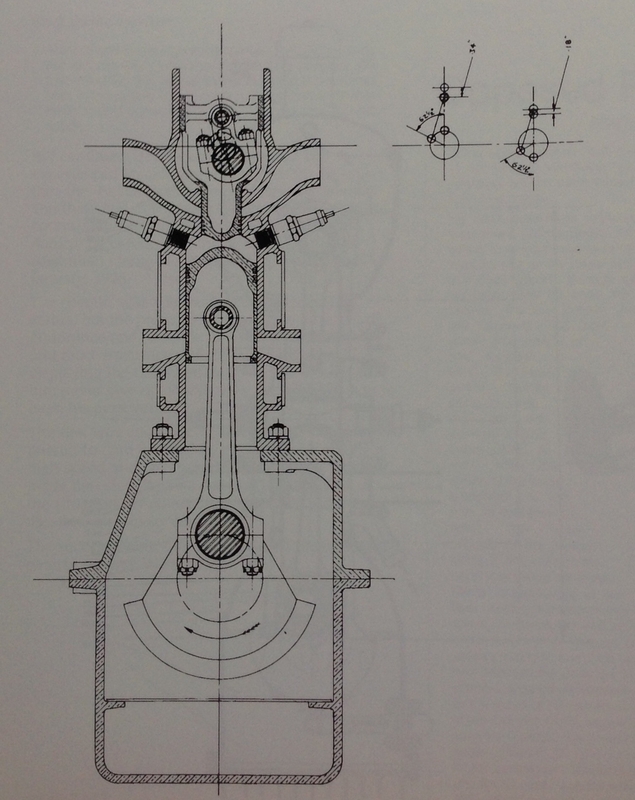 With this design feature the great angularity of the conrod produces very much greater movement of the piston near outer dead centre (port opening position ie: when the opposing pistons are furthest apart) than near inner dead centre (firing position when the pistons are closest together) for any particular crank angle. This enables a much greater port area to be obtained for a particular timing. A snag, though, proved to be the complicated casting of the block. Because of this, the ports were not all in line, so it was necessary to alter the height of every piston in order to get the port timing correct for each cylinder. Then, to maintain the right compression ratio for each cylinder, the shape of the head of each piston had to be machined differently and the pistons were therefore not interchangeable. Once all this was done, by trial and error, educated guesswork and continued experimentation, the engine ran well. After much experimentation, electrics were supplied by eight coils, one for each plug. The pre-war mica-insulated plugs with thick copper electrodes were a continual source of worry; aluminium oxide insulated plugs developed during WW2 solved this. Carburetion is by a huge device of SU design but built entirely in Australia. A 1/2 inch diameter fuel line feeds pure alcohol via huge float needles and huge jets and needles to this hungry motor. Getting the needle taper correct and mixtures right over the whole range required an immense amount of patience and hard work. A large Rootes-type supercharger sometimes running at 28lbs boost, is driven by chain from the top crankshaft. Firing order is 1-2-3-4 and the engine runs anti-clockwise when viewed from the front. For reasons of balance the 90 degree angle between the crankpins is made at the centre bearing so that crankpins 1 and 2 are opposite one another, likewise 3 and 4. No true power figures are available. Apparently the engine has been dynoed’ once, showing 84bhp at 5800rpm, although this was with the engine running on standard petrol, with low compression (6:1) pistons fitted and with only 12lbs boost from the supercharger. The ultimate power output was probably quite a bit higher than this figure. A chain transmits power from a bevel drive on the front of the bottom crankshaft to a 3 speed ‘crash’ gearbox (also built by the Chamberlains). The tubular space frame chassis is very light and strong, having been lengthened by 4.5 inches to accommodate the present engine. Rear suspension is by transverse leaf spring and swing axles. 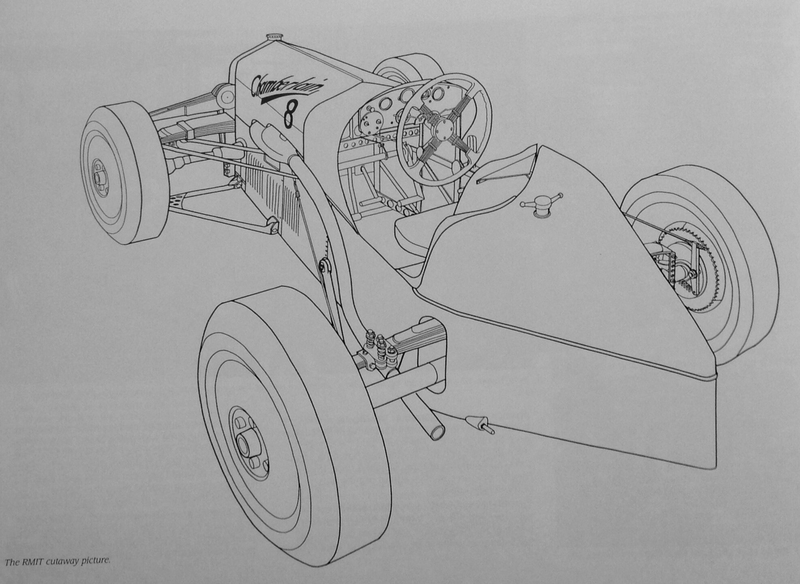 Front suspension is also by transverse leaf spring and lower wishbones. Typically vintage Hartford shock absorbers provide damping. Front drum brakes (cable operated) are inboard to reduce unsprung weight. Chamberlain designed constant velocity joints are used to transmit the drive. The radiator is in 2 halves, the top half above the axle, the lower half in front of the axle. The large radiator core thus permitted does not spoil the frontal appearance. The narrow body is typically late twenties in appearance, with the passengers seat staggered back from the drivers. Only a little over 2 feet wide at its widest, the body was built to accommodate the 9 stone Bob Chamberlain in 1929, plus riding mechanic. Now, nearly 50 years later the car has only enough room for 14 stone of Bob! At a mere 11 cwt, the Chamberlain is very light for a car of its period, and possesses healthy acceleration even now. It is, without doubt an astonishing car, a monument to the enthusiasm, dedication and sheer mechanical ingenuity of a small group of enthusiasts ‘because it seemed like a good idea at the time’. Let us hope that we once again will be able to hear the ear-splitting scream and see the tyre destroying acceleration and characteristic cloud of dense blue, 2-stroke smoke of the inimitable Chamberlain 8. Australian Racer John Cummins worked for the Chamberlains and wrote a letter to the editor of ‘Cars and Drivers’ #3 to recount his experiences having read John Medley’s article above. 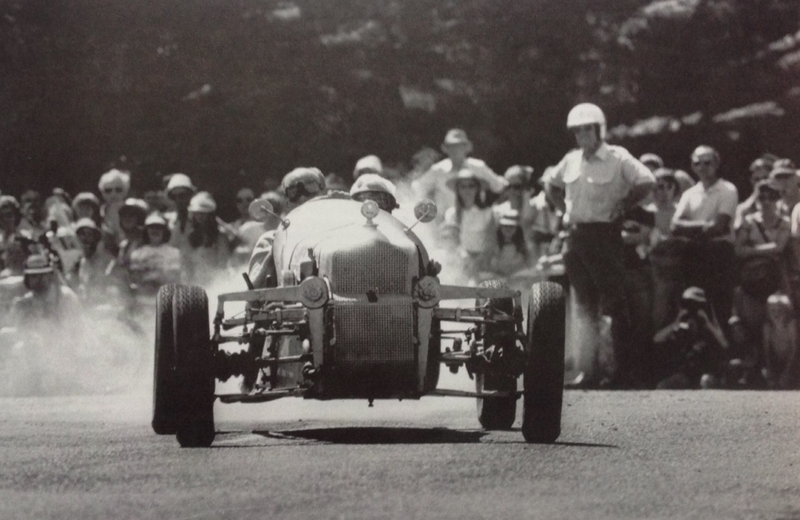 ‘I was very interested in the article on the Chamberlain 8 as it formed the basis for most of my early motorsport experiences in the workshop and at the few hillclimbs and events held in the immediate post war period. I was apprenticed to the Chamberlain’s organisation from 1946 to 1950 and this was the time when the ‘Beetle’ as it was known inside the factory was rebuilt and developed’. ‘Some additional background material to John Medley’s excellent article…It took Grimwade castings 32 tries before they were able to cast a block that was usable and was not completely porous’. ‘The reason behind all this effort, of course, was that the correct mixture and the correct heat range of plugs were essential as a holed piston in that complex engine meant hundreds of hours of stripping and rebuilding’. 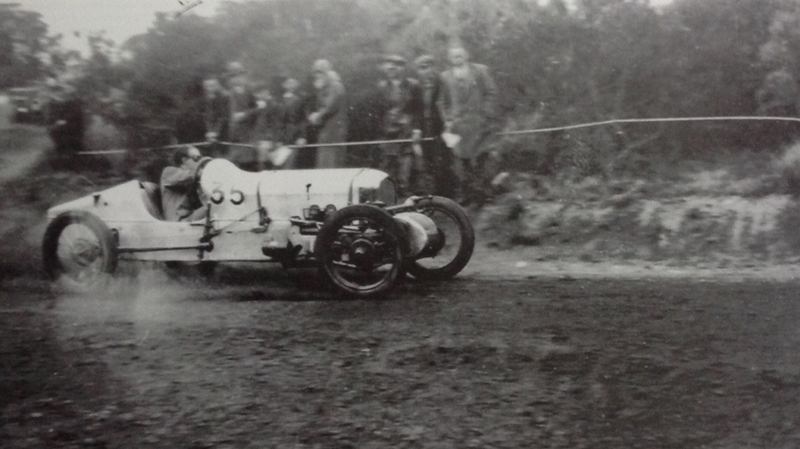 As the War was finally over the minds of enthusiasts turned again to motor racing. 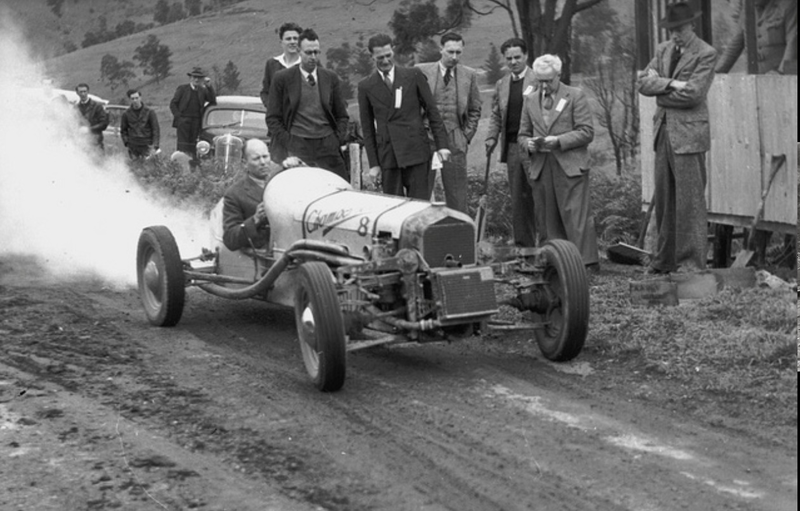 Engineer and 1934 Isle of Man competitor Bill Balgarnie worked for Chamberlain Industries during the war, he prepared the car for the first event in Victoria post-war, a Hillclimb at Greensborough, in Melbourne’s outer north-east in November 1945. As usual, the car misfired. Bill was convinced the engine was starved of fuel and set about machining an SU type carburettor of around 2 inches in diameter from castings he acquired in the UK pre-war. He also made changes to the ignition system. 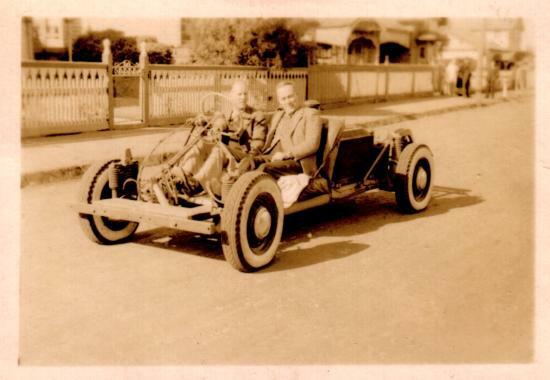 Bill Chamberlain took over the car when Balgarnie went to WA to work on the Chamberlain tractor manufacturing project. 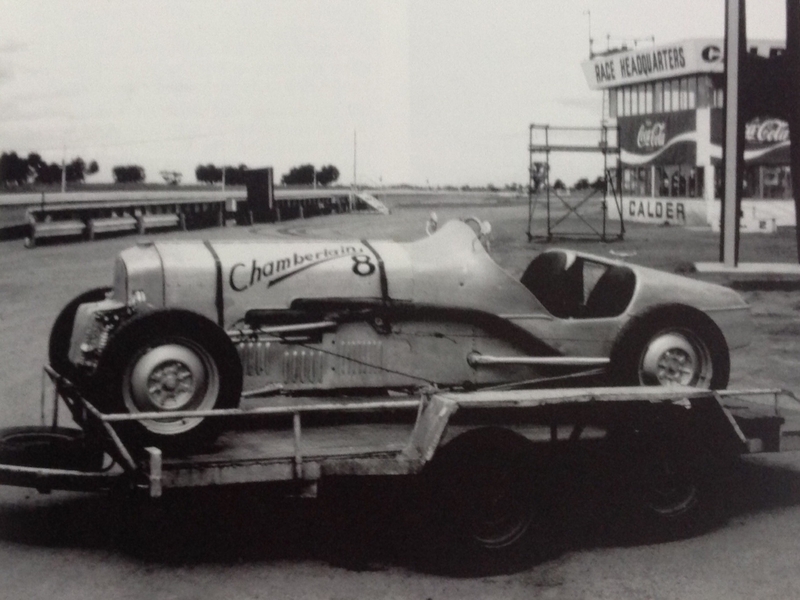 Chamberlain only raced it once at Rob Roy before he too moved to WA, giving the car to his cousin Jim Hawker to develop after he was demobbed from the RAAF. Hawkers two fundamental changes were to make higher compression pistons to suit the better post-war racing fuel and making his own spark plugs, as related by John Cummins above. These used local ‘Olympic’ aluminium oxide insulators, Jim forming by hand, a range of ‘hot ends’ to make a range of ‘cold’ plugs. A quick test run down Salmon Street, Port Melbourne was successful, Hawker entered the Mount Tarrengower, Easter 1947 meeting winning its class. Pakenham Airstrip in May followed, then the Geelong Road illegal, as in unauthorised by the authorities, sprints in June resulted in FTD. Rob Roy in November was also entered. There were still ignition problems so Jim came up with a solution; 8 coils, 1 for each plug, 4 contact breakers, 4 complete double ignition systems , 64000 sparks per minute. The result 96bhp @ 7000 plus rpm. The new ignition system passed with flying colors, no problems at all with a sprint at Killara Park, the home of Lex and Diana Davison near Lilydale. Having got the car running really well Hawker then sought more power. He made some higher compressions pistons, about 10.5:1 and increased the speed of the blower to run at above engine speed, this produced 15 pounds of blower pressure, previously this was 12 pounds. He increased it further to 18 pounds . An event at Rob Roy in May 1948 convinced Jim, when he failed to better his previous Rob Roy time that 15 pounds was the optimum. ‘Rootes type superchargers were notoriously inefficient above 15 pounds pressure, and to obtain 18 pounds pressure I was running at about 7500 rpm and losing out by the increased power required to drive the blower’ said Hawker. Rob Roy 1948 was to be the last race for Jim although he did do a demonstration at Rob Roy 47 years later! And so, the Chamberlain was moved around the workshop, contributed the odd part to other cars until 1973, when as John Medley’s article explains the car was entered at Sandown 1973, missing this meeting as a competitor it was present as a static display which aroused enormous interest from those who knew about it and young ones like me who were gobsmacked at its specification and significance. The car was again prepared to run at the 1978 50 Year anniversary of the first Australian GP at Phillip Island. The car set off on the touring assembly but overheated, then the supercharger seized on Sunday, upon inspection post event the nut screwing the rotor to the shaft of the supercharger had unscrewed and jammed against the cover. But the car had at least run again! The old car then raced occasionally at Historic Events; Sandown September 1978, Mount Tarrengower November 1980, Geelong Speed Trials, along Eastern Beach in 1982 and 1984, 1984 and 1986 Mount Tarrengower misbehaving at most of these events. 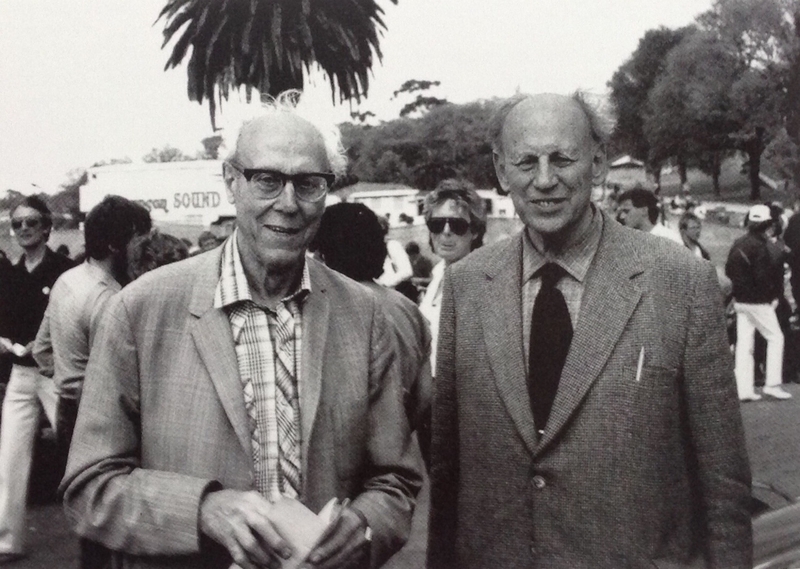 Geelong 1986 was the wonderful cars final event with the Chamberlains, Bill fell seriously ill and died, with Bob passing way in 1992. Bill Chamberlain’s children inherited the car after Bob’s death. After consultation with Jeff Dutton, local auctioneer and purveyor of fine cars the Beetle was auctioned… and bought by Dutton who planned to pop it on his wall as a static exhibit in his fine Church Street, Richmond, Melbourne premises. The car was a static exhibit at a function to launch the reopening of Rob Roy Hillclimb by the MG Car Club. John Hazelden, a Melbourne enthusiast with diverse car interests, and passionate about the Chamberlain 8 did a deal with Dutton, the car was his, to be used as the Chamberlains intended, the deal done in March 1993. The scope of this article does not extend into the the modern era, Hazelden used the car…and enlisted Jim Hawkers help to prepare it competing at Geelong, Winton, Mount Tarrengower, Rob Roy, the Adelaide Grand Prix and at the Albert Park Grand Prix carnival…in more recent times the car has changed hands, the engine is being rebuilt, the car at the time of writing is the star exhibit at the ‘Shifting Gear: Design, Innovation and The Australian Car’ exhibition at Federation Square, Melbourne. 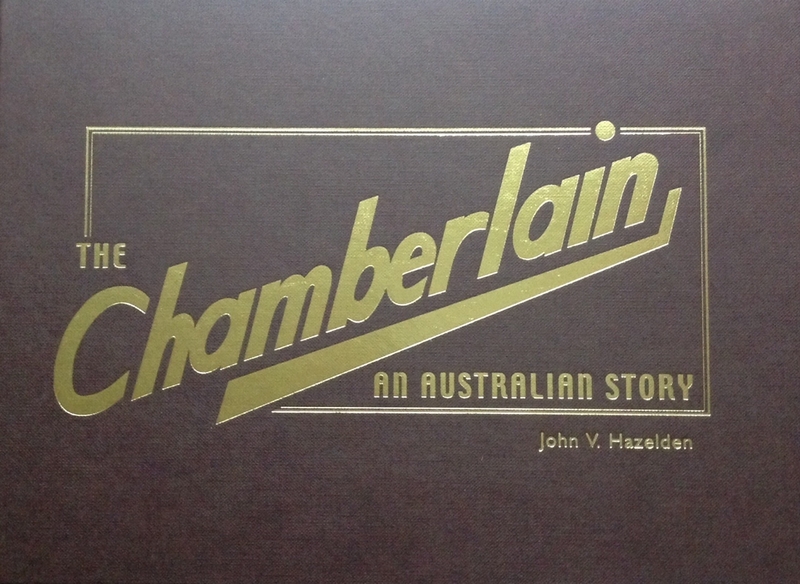 Check out the website to this wonderful book about Bob Chamberlain and his immense contribution to the automotive industry in Australia. What follows is Bruce Lindsay’s synopsis of his book, reproduced in full, as it is a summary of Bob Chamberlain’s life and achievements. 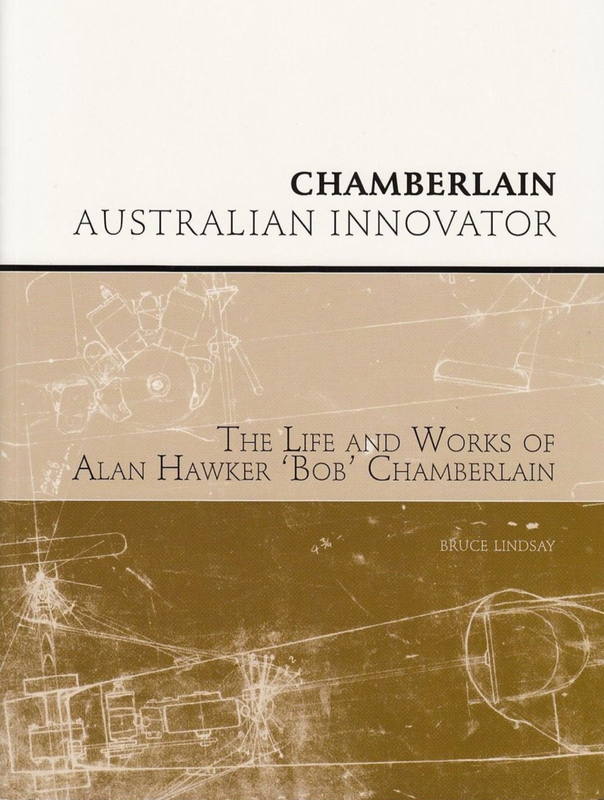 Alan Hawker (Bob) Chamberlain inherited a legacy of engineering innovation. His maternal uncle was one of Australia’s most outstanding pioneer aviators, Harry Hawker. His father had established an engineering business in suburban Melbourne, which later led to the incorporation of the Australian Ball-Bearing Company Pty Ltd which survived to 1969. He was born on 16th July, 1908. Raised in an environment where inventiveness and lateral thinking supplanted textbook designs, he graduated in Mechanical Engineering and joined the family firm. The Australian Ball-Bearing Company spread its activities very much more widely than may be assumed from its name. Commencing with the reconditioning of roller bearings, at a time when imported bearings were almost impossible to obtain, the company was incorporated on 4th October, 1922. It augmented its strong market position by expanding into the design and manufacture of kerbside petrol dispensing equipment, general engineering applications, and construction of major industrial plant such as factories and fuel depots. In all such ventures the young Bob Chamberlain was deeply involved. From his late teens he was captivated by motor racing, and was fired to enter competitive events. 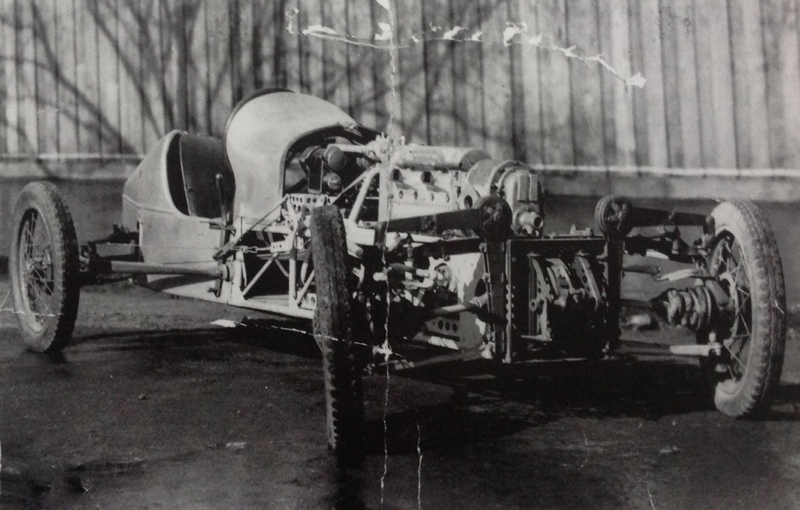 In 1929, barely 20 years old, he designed and built a purpose-built hillclimb racing car, notable for its all-welded triangulated steel tube space frame, front wheel drive, and independent suspension on all four wheels. 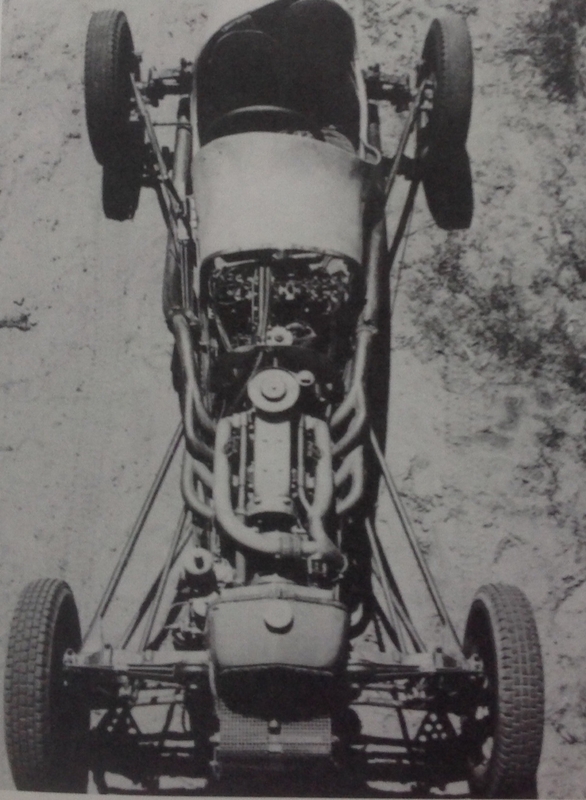 He raced this car with some success, but the modified motorcycle engines used in the car were so highly stressed by racing conditions that they frequently expired due to piston failure. 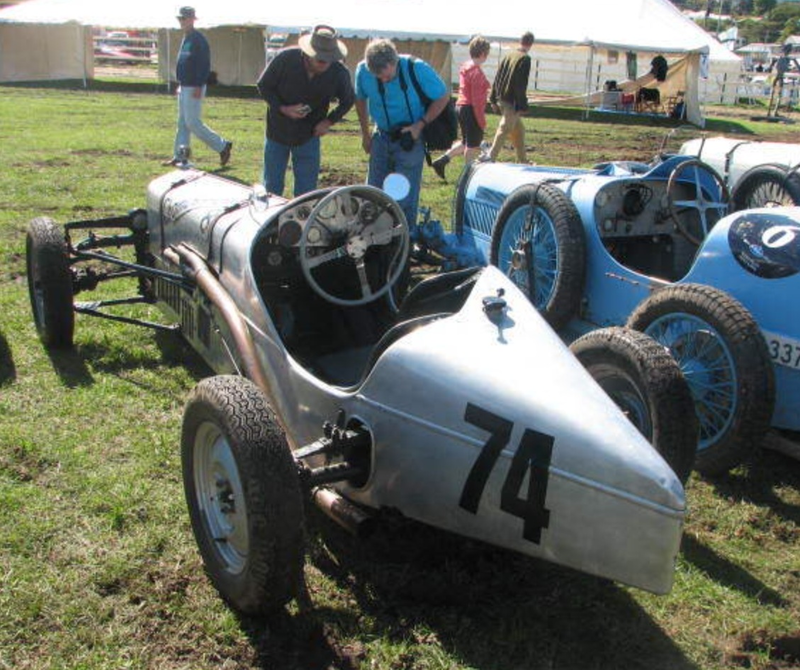 His brother, HF Bill Chamberlain, built a revolutionary 4-cylinder, opposed piston, supercharged two-stroke engine for the car in 1934, in which form it survives in racing condition in private ownership in Melbourne. Motivated by the necessity of producing replacements for their racing car, the family company embarked on the manufacture of pistons for internal combustion engines, Bob negotiated the rights for the aluminium-and-copper alloy patented by Rolls-Royce Motors in England, and the family established in April, 1937 the Rolloy Piston Company. From humble beginnings, this company grew to be the principal supplier of pistons to manufacturers including General Motors-Holden and the Ford Motor Company, in the 1950s producing 90% of original equipment pistons for the Australian motor industry, and 100% of pistons required by all Holden vehicles up to and including the FC model. As early as 1931, Bob designed and patented a revolutionary hydraulic transmission, some years before General Motors first marketed their “Hydramatic” hydraulic gearbox. It was known in the works as “Bob’s oil gear”. Bob continued to be active in the design and patenting of a range of mechanical applications, including wheel suspension, novel transmissions and pistons. As late as 1955, the income from royalties paid on his patented designs was yielding more than £49,000 per annum. Late in the 1930s, the Federal Government sought actively to encourage the development of Australian secondary industries, as the nation emerged from its agricultural heritage into a world demanding self-sufficiency in manufactured goods. The Government of the day elected to encourage such development through a series of legislative inducements, offering “bounties” for the local production of manufactured items ranging from barbed wire to traction engines. Bob Chamberlain responded to the Engine Bounty Act and the Tractor Bounty Act of 1938 by designing and constructing novel prototypes. 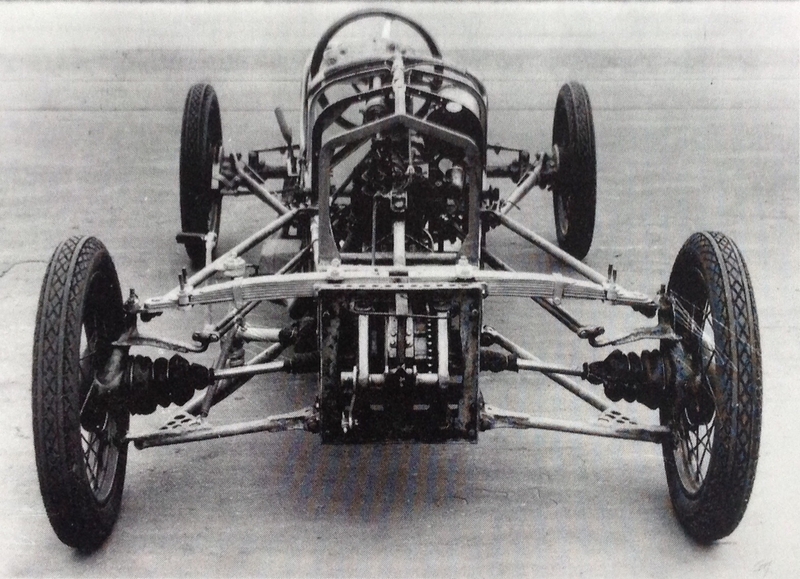 His motor vehicle displayed once again his original and lateral thinking, utilising a tubular space frame, independent four wheel suspension, and a mid-mounted engine driving the rear wheels. This was at a time when conventional designs employed a heavy cruciform or ladder chassis frame, seldom were even the front wheels independently sprung, and heavy motors were almost invariably located above the steered wheels. Two prototypes were laid down, one survives at the York Motor Museum in Western Australia. Events such as the Second World War and the decision by General Motors-Holden to start local production killed off the venture. In response to the tractor bounties being offered, Bob designed revolutionary prototypes, in Melbourne, of a new type of tractor specially suited to the conditions of Australian broadacre farming. A growing national population needed more food, and State Governments hastened the opening of marginal lands. In Western Australia, for example, the minimum size for an economically viable wheat farm in such lands was in 1950 deemed to be 2000 acres. 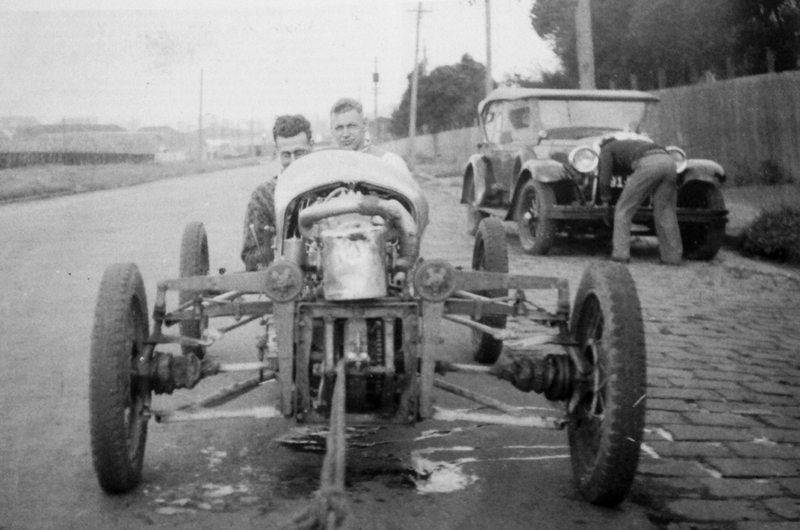 Parts for the prototypes of the tractor were constructed at Port Melbourne as early as 1943, but War interrupted the development of a promising design. Bob Chamberlain was then commissioned to work with local and American designers on War machines, at the express direction of the Rt Hon R G Menzies, then Prime Minister of Australia. He utilised the experience gained in the USA to contribute to the Australian Tank Project, intended to supply the Australian Army with a medium-weight tank in such quantities as would serve to repel the expected invasion of northern Australia by the Japanese armed forces. The Australian Cruiser AC1 tank incorporated much of his conceptual, design and engineering work, even though for political reasons it never saw quantity production. He worked on a range of significant wartime projects as part of the Directorate of Ordnance Production until 1943. Drawing upon his experience in the remanufacture of ball bearings, he was required to plan and equip a roller bearing manufacturing facility intended to serve the War effort, and which was to be located in Echuca in northern Victoria as part of the Commonwealth Government’s decentralisation program. Although hostilities ended before this facility saw full production, it remained operational to serve the needs of an emerging industrial and manufacturing infrastructure. Immediately following the end of the War, the need for expanded agricultural production was made more pressing by the return to Australia of servicemen and servicewomen requiring to be absorbed into the workforce, many of whom were to be resettled on the land. Imported tractors were scarce by virtue of their high cost, and their subjection to rigorous quotas because of tight restrictions on foreign exchange. So there was renewed Government interest in Bob’s prototype tractor. Remarkable for its audacity and its dimension, a plan was in 1946 agreed between the Federal Government (who made available a new but unused munitions factory in outer suburban Perth, sold now-unwanted munitions and associated machinery to the new venture at 50% of new price, and assured Loan Council approval for the provision of funds to the West Australian Government to establish a new tractor manufacturing industry); the West Australian Government (which agreed to establish a high-powered Government Committee to oversight the project, and deputed senior bureaucrats to assist at every stage of its development); the State-Government-controlled Rural & Industries Bank of Western Australia (which supplied an overdraft facility upon which Chamberlain Industries may draw in order to develop their manufacturing facility, and which by 1954 had reached the staggering amount of £3.5 million – representing more than 60% of the Bank’s total capitalisation); and the new company. Although the first tractor was not completed until three years after announcement of the “WA Tractor Project” – in 1949 – it was immediately evident that its large size and weight giving outstanding traction in rough country; its ability to haul large implements to more quickly prepare large acreages and to similarly harvest their product; its ability to travel at relatively high road speeds between distant land holdings; its competence to run on cheap and available kerosene during times of petrol restrictions; and its ruggedly simple design requiring minimal attention beyond routine maintenance, made the new design instantly successful. The “40K” model as that first tractor was known remains operational in sizeable numbers, fifty years after they were built, supported by a cult following amongst the enthusiasts of agricultural machinery. With an eye to lifting the profile of his new designs, Bob produced in 1955 a one-off version of his new medium tractor capable of high road speeds. This tractor followed the highly publicised “Redex” (and later “Mobilgas”) Around Australia Trials. Images of the 110 kph-tractor were flashed around the world, as “Tail End Charlie” mopped up a field of bedraggled, bogged, broken and expired vehicles between Perth and Darwin (initially), and later along the entire route. Its performance was a promotional coup for the company, and the original vehicle remains on exhibit in Perth. Bob continued to design new and evolutionary tractors and farm implements suited to attachment to the new style of large tractor, working from Melbourne, while his brother FH managed the Perth operation and designed a highly successful version of the “stump jump” plough. Bob saw the need for a smaller tractor, adaptable to industrial applications and specialist roles in the growing of crops such as grapevines, cotton and sugar cane. 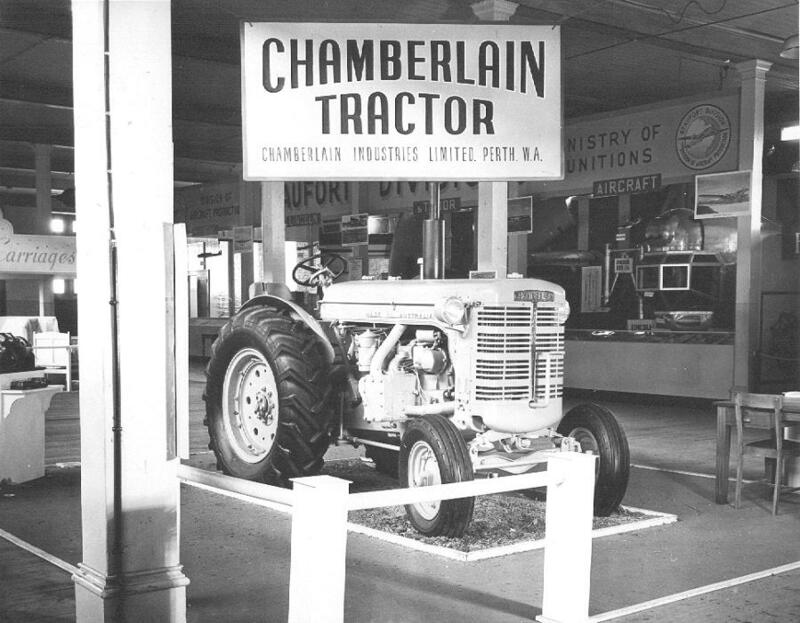 His “intermediate” tractor – dubbed the “Champion” – was introduced in 1956 and, like its predecessor, was an immediate success despite its extended gestation period. Bob had assumed the role of Managing Director of the company in 1954, when Chamberlain Industries faced growing financial difficulties, leading to the exclusion of the Chamberlain family in 1956. 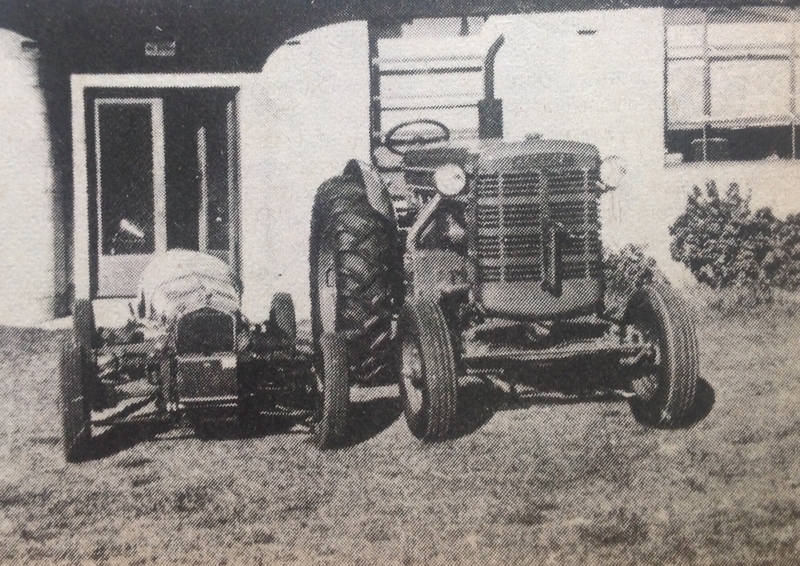 Returning to Melbourne, Bob continued work on the design of yet another tractor, this time a small machine capable of competing with products of the smaller imported brands like Ferguson, Massey-Harris and Fiat. He built two prototypes, of which one survives in Melbourne’s Scienceworks Museum. It was intended to be powered by either a sophisticated (and imported) German M.A.N. air-cooled diesel engine, or the ubiquitous Holden motor car engine, in which latter form the survivor exists. It was always his intention to franchise rights to manufacture the small tractor, for which purpose he formally registered its design in 1959. Approaches to a number of farm machinery implement manufacturers unfortunately came to nothing, probably because the landscape of tractor design and sales had changed markedly between 1946 and 1959, and competing makes were already well established. He continued to work for his family companies, developing the motor car oil filter system containing magnetic elements to extract metal particles from lubricating oils. This design was in 1942 taken up by the firm which to this day manufactures oil filters under the Ryco brand name. In 1969 the Chamberlain family elected to sell their interests in both the Australian Ball Bearing Company and the Rolloy Piston Company to Repco Holdings Pty Ltd, itself an iconic Australian motor engineering company, against which Rolloy had for some time been operating in direct competition. Undeterred, Bob in 1970 registered a new company under the name of Alan Chamberlain Engineering Pty Ltd, operating from premises within easy walking distance of the former Chamberlain headquarters, in Dow Street, Port Melbourne. This company’s stated purpose was to involve itself in “marine engineering”. Bob had for many years shown a passionate interest in powered boats, and now applied his engineering skills to the development of new products in that field. He took with him two long-serving and very highly skilled staffers – Alan Morgan as a machinist, and Vic Gray as a pattern-maker. He designed, built and then manufactured a “vertical starter motor” for use with inboard-engined power boats. For this invention he was awarded a Prize of the National Safety Council for 1974. 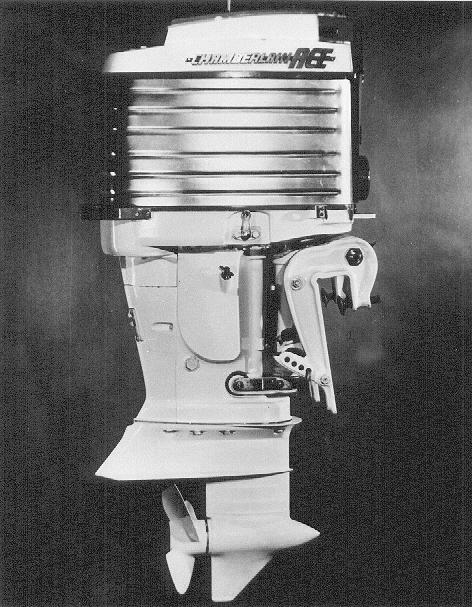 On the premise that inboard-engined boats utilised motor car engines, he observed that their electric starter-motors were located at the bottom of the engines. This placed them dangerously close to the boat’s bilge, which all-too-frequently contained surplus petrol drained from the fuel system above. The sparks generated by the starting procedure regularly ignited the petrol-doused bilge water, resulting in explosions and fires. He also designed and built a form of cushioned vee-drive for inboard powered boats, which was markedly commercially successful. His intended triumph – a brand new four-stroke outboard boat motor, the “Chamberlain Ace” – was like his small tractor probably too late into a market developing rapidly, and whose tide he was sadly too slow to catch. 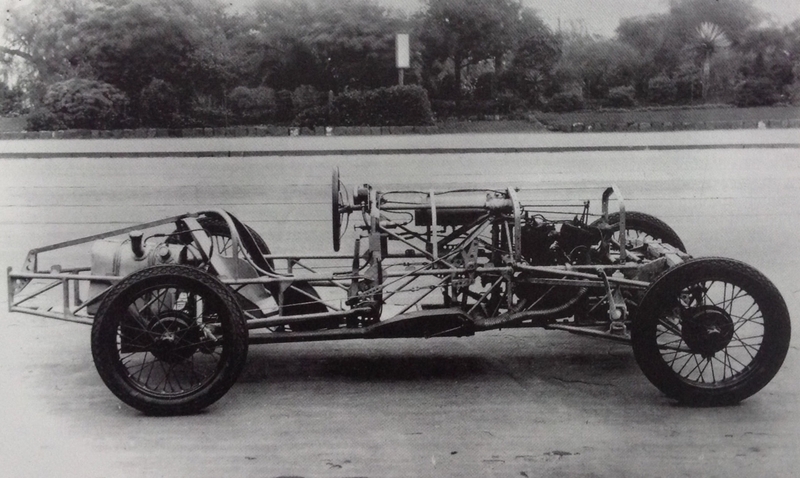 His design parameters called for an economical, 4-stroke motor which would produce 40 hp from a sophisticated design utilising four cylinders and 2 gear-driven overhead camshafts. He laid down parts for eight such motors, but it would appear that only one was built, which failed to reach its designed output, and caught fire on test. The sad reality was that, while under development by such a tiny company, the engine was outstripped in output by motors which were readily commercially available, before it could reach the market. Bob then turned his attention to the reconstruction of highly significant sporting and racing cars which had come into his possession since 1945. Two of these were 1910-built “Prince Henry” Benz sporting cars; and another was the highly significant 1904-built Napier L34 “Samson”. In the case of the Benz sporting cars, Bob used all of his considerable ingenuity to rebuild these cars from wrecks to driving condition, under the envying eye of the original manufacturers. The Napier L34 had been built in 1904, and had held the World Land Speed Record amongst its pantheon of racing achievements. Although the car was broken up in 1911, its remarkable engine found its way to Australia, and into the racing power boat “Nautilus”. After being campaigned in this form for many years, the motor had lain idle in a factory workshop in Brunswick, Melbourne, from where Bob rescued it. 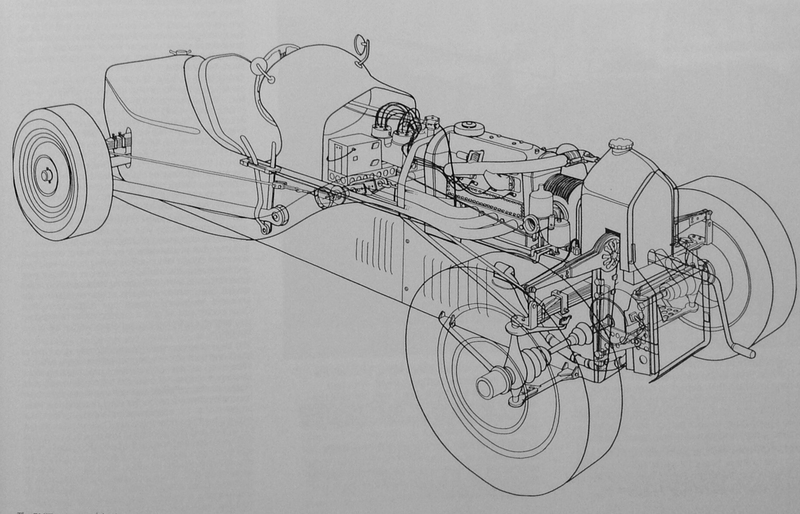 Finding that the original detailed plans for the car’s construction survived in London, he travelled to England and copied sufficient material to enable him and his tiny team to construct a faithful replica of the original car, which he first drove on the road in 1982, and which he shipped to England for the Jubilee of the Brooklands racetrack in 1983. This most significant motor car survives in the Fremantle Motor Museum in Perth, Western Australia. 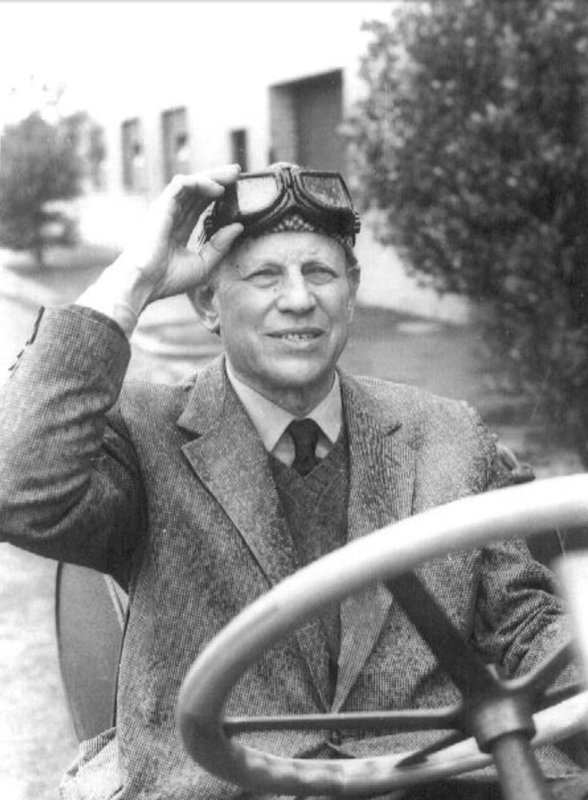 He continued to work on his historic motor vehicles, and lecture on his life’s work, right up to within weeks of his death in 1992. During his unusually productive life, he had been an important part of the transition of Australia from an agricultural to an industrial economy, charting a path through the hazardous shoals of new experience in the innovative application of engineering principles to industrial design. This book seeks to catalogue his achievements in the evolution of the new industrial order in Australia, in a way not previously attempted. It uses source documents which include Bob Chamberlain’s comprehensive personal diaries, Government records, patent documents, Federal and State Government Hansard, personal accounts from staffers and customers, and the recollections of his family, friends and employees. It also offers to enthusiasts of his products detailed technical descriptions of his output, a collection of data not previously attempted. While the inclusion of such data in a biography may be seen as being unusual, in this case the engineering output is inseparable from the man, and his biography would be sadly incomplete without it. A summary of the engines salient features is as follows; ‘The Chamberlain engine is a water cooled, vertical, inline, 4 cylinder 2 stroke with 2 pistons per cylinder. Supercharged. The bottom pistons have a bore of 62.5mm and a stroke of 80mm. These bottom pistons control the exhaust ports while the top pistons are much smaller, having a bore of 35mm and a stroke of 25mm. These small pistons control the inlet ports and are of a peculiar shape. 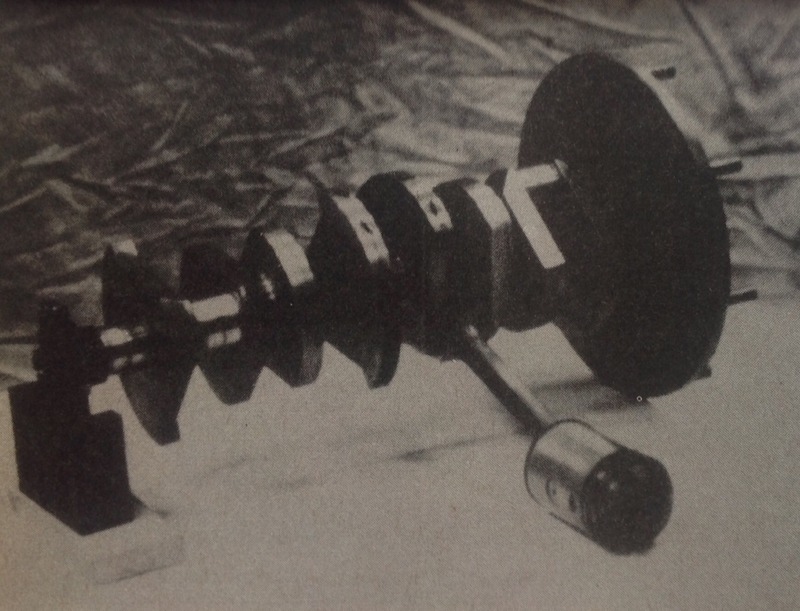 The large hole in the base of the piston allows the small crankshaft to pass through with the gudgeon pin secured at the opposite end to the head. The small crank has 5 main bearings, the conrods are only 1.5 inches long. the bottom crank is much heavier, was machined from solid and has 3 main bearings. The throws are such that the 4 cylinders fire each revolution of the engine. The 2 cranks are coupled together by chain. With this 2 piston per cylinder design, considerable overlap can be achieved, which is impossible with the single piston 2 stroke design. In this engine the inlet ports are open for 25 degrees of crankshaft rotation after the exhaust ports have closed and, with the inlet ports mounted in the top of the head and the exhaust ports at the bottom of the cylinder wall, better scavenging is possible. The lower connecting rods are from an A Model Ford. 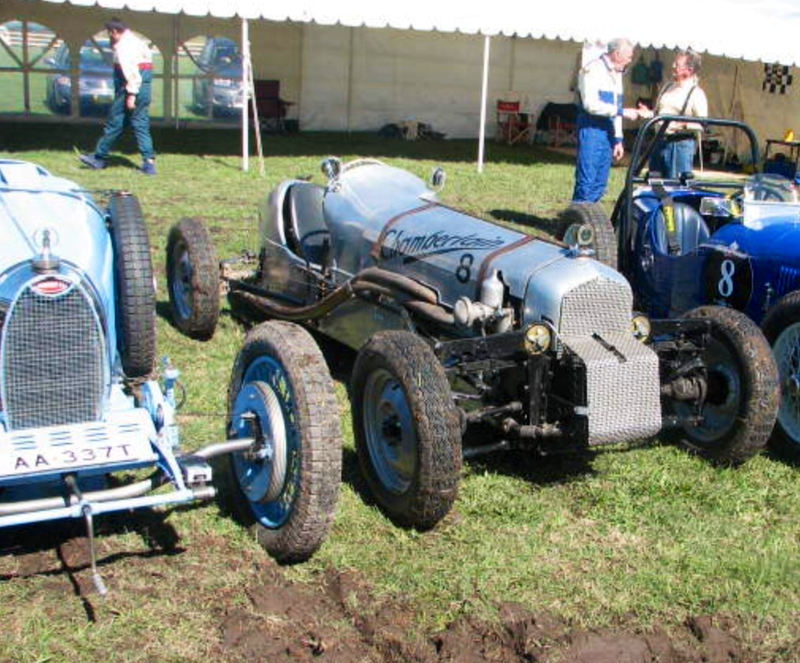 Two shots of the Chamberlain 8 at Queensland’s ‘The Speed on Tweed’ in recent years. John Medley, special thanks for allowing his 1977 ‘Cars and Drivers’ article to be reproduced. ‘Cars and Drivers’ magazine, wonderful brainchild of the late, talented Barry Lake, Number 2 1977.